Harry Elmer Imhoff, son of George and Edith (Machlan) Imhoff, was born on a farm west of Van Wert, Iowa on December 13, 1922. He passed from this life on Saturday, April 22, 2017 at Southern Hills Specialty Care in Osceola, Iowa at the age of 94. His family lived in the Van Wert area all his growing up years. Harry graduated from Van Wert High School in 1940. He met his future wife, Mildred Maxine Percell at Bible studies that he and his brothers attended in the home of William and Elizabeth Campbell. Harry and Mildred were married on June 7, 1948 at her family's home in Harrison County, Missouri. To this union two girls were born, Cheryl Lynn and Nancy Ann. 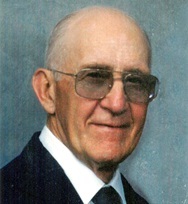 Harry was a faithful member of the Church of Christ after his baptism in 1947; teaching, preaching, and leading songs in several small congregations throughout the years. Harry was a farmer all his life, with a deep love for the land and his animals. 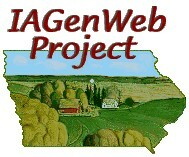 He and Mildred lived on farms north of Leon, Iowa until purchasing a farm north of Osceola in 1968. He began working at Firestone in Des Moines that same year. He retired from Firestone in 1984, but kept farming until he was well into his 80's. Harry had three loves in his life-- the church, family, and farming; these three things were the center of all he did. Harry was preceded in death by his wife, Mildred; his daughter, Cheryl Kinyon; his parents; his brother, Charles; his sister-in-law, Erma; his sister-in-law, Milda, and his brother-in-law, John Buckingham. He is survived by his daughter, Nancy (Michael) Becker of Lincoln, NE; his son-in-law, John Kinyon of Guttenburg, IA; his brother, Roscoe Imhoff of Osceola; and his sister, Gladys Buckingham of Des Moines. He leaves behind his grandchildren, David and Mandy Kinyon of Topeka, KS; Carrie and Christopher Reid of Lincoln, NE; Alex and Maureen Kinyon of Omaha, NE; and Martha and Ben Wingfield of Montgomery, AL; great-grandchildren, Ian, Cheryl, Harrison, and Wendy, as well as numerous nieces, nephews, and other relatives. Memorials may be directed to In Search of the Lord's Way. Funeral services were conducted 2:00 p.m. April 26, 2017 at Kale Funeral Home of Osceola. Interment was made at Andover Cemetery, Andover, Missouri.